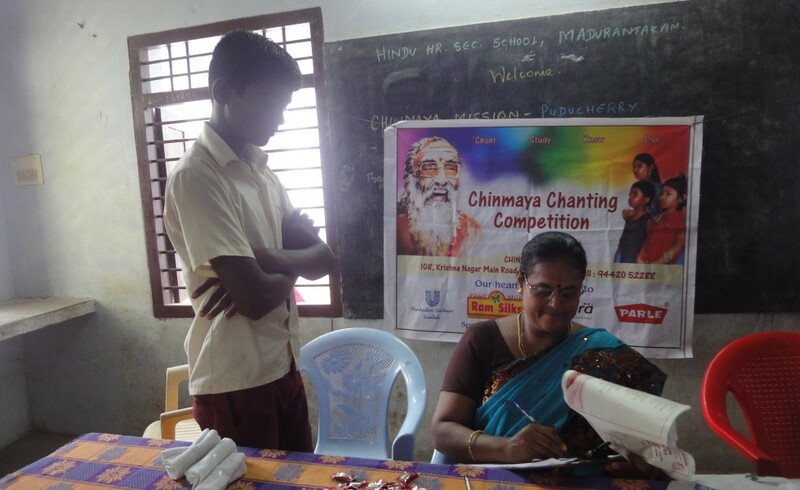 Organized, in collaboration with Chinmaya Seva Trust at Pondicherry, chanting competition on Sagalakala Valli Malai at Hindu Mathuranthagam School on August 20, 2014. 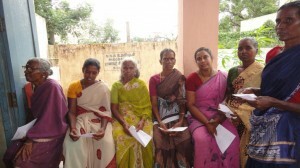 Educational aid given to K. Archana, 2nd Year ECE at Melmaruvathur Adhiparasakthi Engineering College. 66th Eye camp held at Kattukuppam, Puducherry on August 17, 2012. Mr.Shankar Ganguli and Mrs.Subra Ganguli sponsored wheel chair to the traumatic paraplegic woman at JIPMER through Sriram Charitable Trust. Managing Trustee donated four sets of personal computer to the Swami Vivekananda Rural Community College, Kalapet, Pondicherry. Organized a motivation speech by Swami Sarathananda, from Thirupraithirai, to the 10th, 11th and 12th standard students of Hindu Higher Secondary School, Madurantakam, Tamil Nadu. Organized dental camp by Sri Karpaga Vinayagar Hospital, for the students of Hindu Higher Secondary School, Madurantakam, Tamil Nadu.